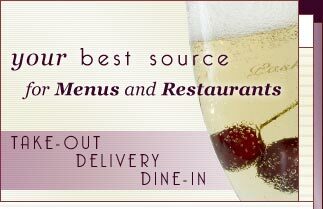 Welcome to MenuMart.com, the best source for restaurant and menu information in Albany NY and the Capital Region! Featuring area-specific listings, detailed menus, and cuisine categories, MenuMart.com makes it easy to find the perfect Upstate New York restaurant for your palate! The New York State Capital Region stretches from Albany NY north through Saratoga Springs, famous for its horse racing track, to the scenic Lake George and Glens Falls region, which marks the beginning of the Adirondack State Park. With the capital city of Albany and mountains so close and major cities like New York, Boston, and Montreal a short drive away, the Capital District is both a convenient and beautiful place to live as well as a fantastic daytrip for big city residents or curious neighbors. Whether you call the Capital District "home" or you are just visiting, MenuMart.com will help you get the most from the diverse cuisines the Capital District has to offer.